Christopher J. Berlet BSc. (Mining), CFA, President, CEO and Director Mr. Berlet is a graduate of Mining Engineering from Queen’s University (1990) and holds a Diploma in Accounting & Finance from the London School of Economics and Political Science (1991). Mr. Berlet is a CFA Charter Holder (2004) and has business experience in both finance and the mineral industries. Mr. Berlet is also a Director of Canuc Resources Corporation. Mr. Chase is a graduate of Electrical Engineering from McGill University (1993). Mr. Chase’s career in Telecommunications followed the rollout of cellular networks throughout Latin America and especially Brazil. A long-time investor in mineral exploration projects, Mr. Chase is the founder of TNO Mining INC. and operates Black Lake Mineração LTDA, a granite extraction company based in Espirito Santo, Brazil. 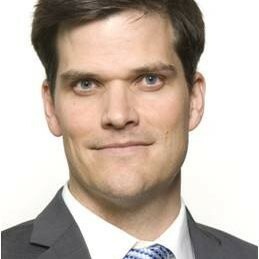 Mr. Samson has an undergraduate degree from Harvard University (USA) and has an MBA from Cambridge (UK). He is President and CEO of Rogue Resources Inc. and has served as a Vice President for both First Nickel Inc. (“FNI”) and Kinross Gold Corporation. Sean has served as an elected board member of PDAC and as a Cleantech advisor at MaRS, a Toronto based innovation Centre. In 2012, Sean won the Canadian Young Mining Leader award from the Canadian Institute of Mining, Metallurgy and Petroleum (CIM). Artie Li CPA, CA is a Chartered Professional Accountant. Mr. Li has half a decade of public accounting experience gained with Ernst & Young LLP. Mr. Li has experience working with audit and accounting functions for public and private companies across various industries, and has knowledge of financial reporting and accounting standards. Mr. Li holds a Bachelor of Commerce from the University of Toronto and has been practicing in the accounting profession for five years.